My first word on the subject of road racing is a disclaimer: Wheel-to-wheel competition is not “cheap” in any form, at least not compared to other hobbies like cycling, wood-working, and model-building. “Budget” racing, therefore, is not to be taken out of context of the sport as whole. You can get involved in amateur racing without going bankrupt, but you must be prepared to for 1) addiction and 2) a laundry list of unforeseen expenses. Still interested? Good. I’ll outline how you can start road racing through my anecdotal (and still fresh) experience. The decision to race was built on decades of dreaming — first at the helm of a six-horsepower go-kart, and later at the wheel of a GT3-spec Ferrari Challenge car — but it wasn’t until the end of 2016 that I took some essential first steps. 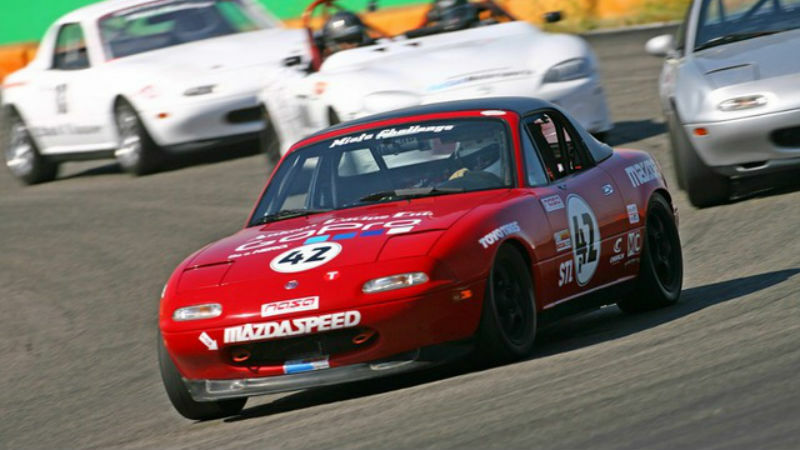 If you wish to compete in a nationally sanctioned racing organization like Sports Car Club of America (SCCA), you’ll need to apply for a novice competition license ($120) and complete a racing school. A quick look at some of the more popular schools like Skip Barber and Allen Berg make you cringe; $5,000 for a three-day program?! As a journalist, I found a workaround: Lucas Oil School of Racing was a relatively new outfit and was open to a story in exchange for admission to a two-day program. After graduating, I was given a credential and credited for one of the three race weekends required for a full competition license. “Great,” you’re thinking, “but I’m not a journalist.” True, and that’s why I’d recommend a SCCA racing school hosted by your region’s club. 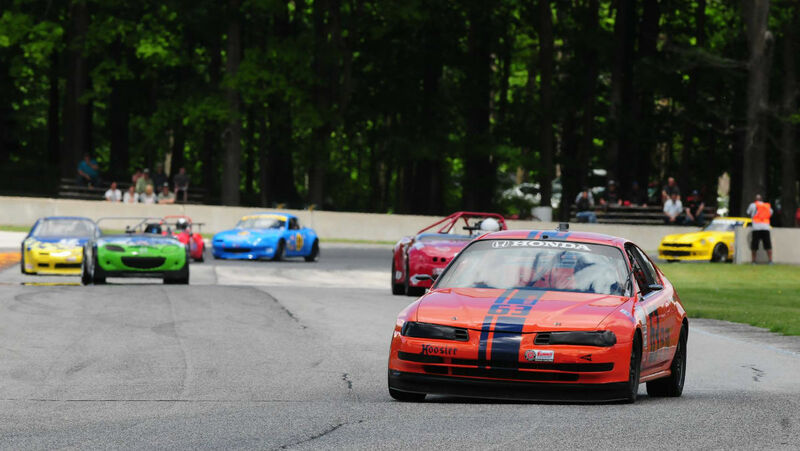 Like Lucas Oil, SCCA’s two-day program prepares students for wheel-to-wheel competition with classroom and track time, culminating in a mock race. Unlike Lucas Oil (which is among the cheaper schools at approximately $2,000), SCCA’s program is about $500. Now we’re talking. You will need to track down your region’s SCCA club website to find the next school session, but with most held on Friday and Saturday, you shouldn’t need to take more than a day off work to complete it. There’s only one caveat when it comes to doing a SCCA race school: You’ll need to source your own vehicle. The benefit of the more expensive schools is that they provide and maintain a car for you to use during the program. Two reasons why that isn’t a big deal, though: 1) after the program, you’d need your own race car to, you know, race, and (2) if you’re using your own car during the school, you’ll be that much more in sync with it when the real competition begins. Alternatively, you can rent a race car from a private party or company, but rentals can be even more expensive than schools ($2,000-$3,000 per day). When you think you’re ready to choose a car, you’re really only ready to pick a class. 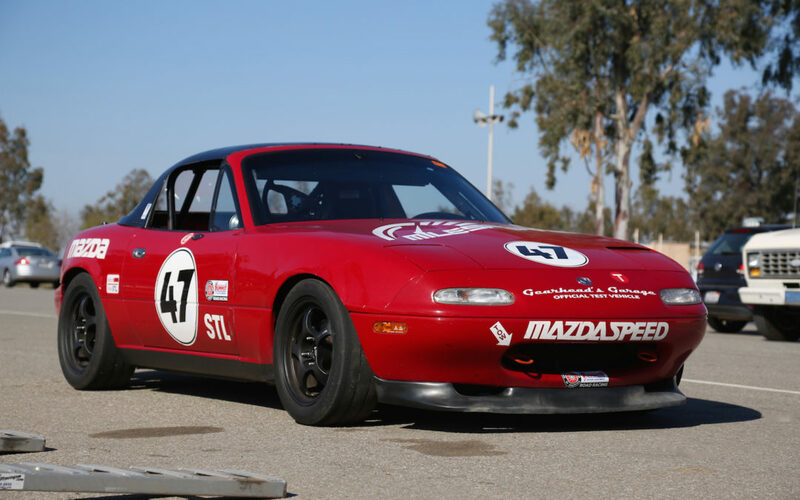 SCCA, NASA, and other racing organizations have a number of classifications to cover the gauntlet of vehicle types. You wouldn’t want to be driving a 70-horsepower VW Golf on the same track as an 800-hp Corvette. As a general rule, lower output cars are cheaper, but that’s just the tip of the iceberg. Do you like front-drive, rear-drive, or all-wheel drive cars? Do you want a street-legal model, or do you have the resources to tow your vehicle? There are literally hundreds of refining questions to answer before you’re ready to make a purchase, but here’s a shortcut: find a car with high production numbers and therefore ample spare parts. A good suggestion for a front-drive car would be the Volkswagen Golf Mk1 (model years 1975-84) or the Honda CR-X (1984-91). For rear drive, check out the first or second generation Mazda Miata (1990-2005) or the first generation Mazda RX-7 (1979-86). Not only are these vehicles relatively affordable to purchase and maintain, but they are all eligible to compete in a variety of classes (depending on modifications). 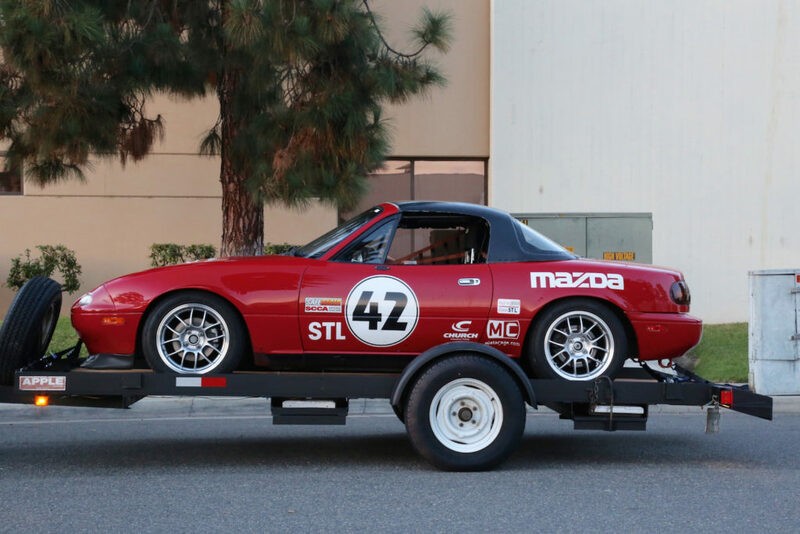 After settling on a first generation Mazda Miata race car to compete in the Super Touring Light (STL) class, Dean Case and Jacob Brown (of Mazda Motorsport and Mazda North America, respectively) set to work finding a car. It was in the basement of Mazda’s NA headquarters (while perusing decades of Mazda racing and production car history) that Dean introduced me to my future crew chief, Steve Lepper. Steve was an automotive industry veteran, having worked for Toyota as an engineer for 15 years before establishing his own shop, Gearhead’s Garage. 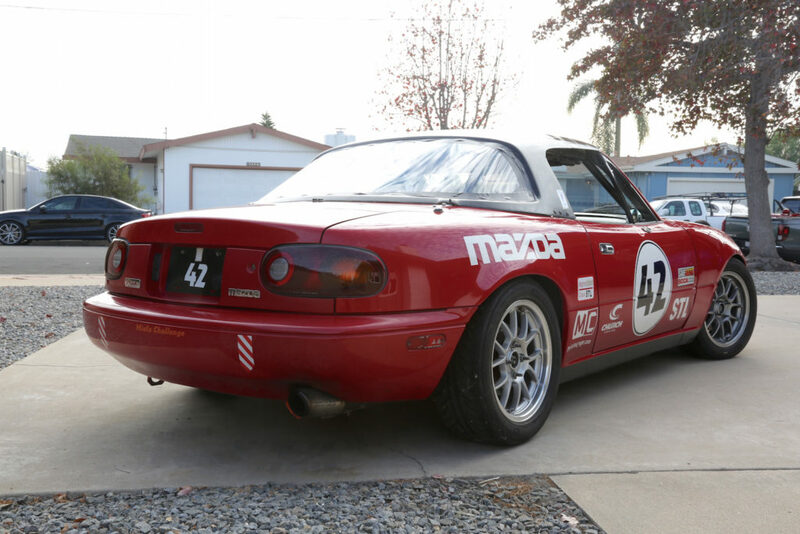 Steve outlined two paths to finding the right Miata race car: I could either build my ideal car from the bones of a stock model, or I could buy a race-prepped version (with an FIA-legal cage, harnesses, and other safety equipment). These two routes, buy vs. build, are true for anyone starting out. Eager to get into the driver’s seat as quickly as possible, I chose to buy. Typically, the process of finding a good candidate takes time. Finding a car with extensive maintenance and service records – one with a good chance to be class-competitive – is a slog. Thankfully, Steve knew of someone with a car for sale that was within my budget of $10,000-$12,000. 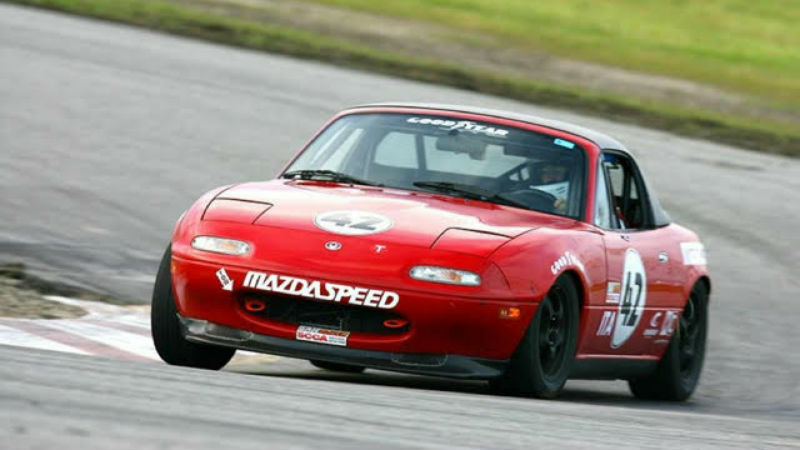 Kim Landry was the third owner of “Izzy,” a 1996 Mazda Miata that had been built by a former Sports Car Club of America (SCCA) Runoff champion Phil Royale. Steve had personally serviced the car while it was in the care of a previous owner, so he knew this was a quality build. Kim had owned the vehicle nearly three years, during which time the car had only been entered into autocross competitions twice. Due to a shoulder injury, Kim hadn’t been able to get back into the drivers seat for over two years. She was finally ready to let Izzy go. After some good-humored negotiation, we settled on a price: $11,000 for the car and a light-duty trailer. What I’d bought (and what you can expect to buy) for $10,000-$12,000 is not a class-winning car. Even on the affordable end of racing, front-of-the-pack race cars — those with extensive engine, tuning, and suspension work — go for $20,000 or more. I chose a car I could modify as my skills improved, and I’d recommend the same for anyone starting out. If you blow your budget on a precision-built car, but don’t yet have the talent to drive it at the limit, you gain nothing from the extra money spent. And don’t forget about maintenance costs. I couldn’t. My car had been sitting for over two years, meaning it would need a new battery, new fluids, new tires, and updated safety equipment. In the first month of ownership alone I spent $2,000 on parts and labor. And here’s where I’ll bring up the concept of sponsorship. You might assume only professional racers, or at least class-winning drivers, can attract sponsors, but that’s just not true. Any business that wants to increase visibility – especially those in the automotive industry – can benefit from sponsorship. That doesn’t mean you should start pitching every mom-and-pop shop in town. Think first about the common consumables for a race car: tires, brakes, and fluids. These will be your biggest expenses over the course of a season, so if you can find a supplier to sponsor your car in exchange for free or discounted parts, that’s a huge win. If you strike out with suppliers, or need more cash for race fees, etc., then look to other businesses. Furthermore, if you can’t or lack the time to service your car yourself, you’ll need a shop. That shop can also become a sponsor, as one did in my case. Gearhead’s Garage and I worked out a deal to apply prominent decals to my car in exchange for a 50-percent labor rate. With all the work being done to my Miata, a half-price rate saved me hundreds of dollars. Steve and I were also able to reach an agreement about storage — another monthly expense that can add up quickly. Nearly $10,000 per season seems daunting, but remember that several things can cut that number down: sponsorships, camping at the track, and deal hunting to name a few. Keep in mind: you’re racing on a budget, so skip the luxuries. In my own experience, it took two months and about $2,500 in parts and labor (car and trailer combined) from the time of vehicle purchase to race readiness. At long last, I was finally prepared for a regional competition … or so I thought. In part two of this feature, I’ll give you an idea of what to expect from your first race weekend. All photos by Miles Branman, unless otherwise noted.